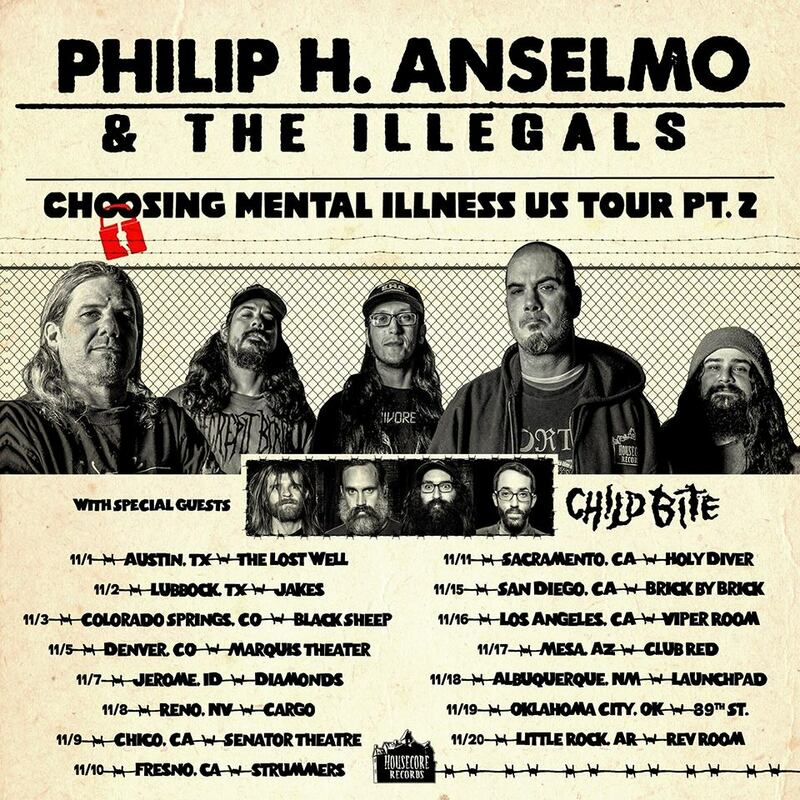 Next month, PHILIP H. ANSELMO & THE ILLEGALS will join forces with Housecore labelmates/Detroit noise rock eccentrics Child Bite for the second leg of the Choosing Mental Illness US Tour. The journey will commence on November 1st in Austin, Texa, and wind its way through sixteen venues upon its conclusion November 20th. 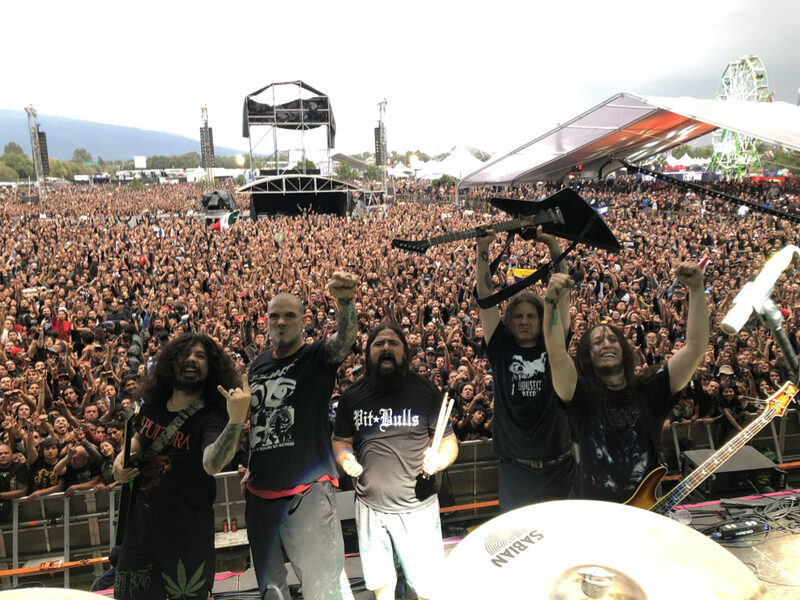 The tour follows THE ILLEGALS’ recent East Coast run with Australian grind comrades King Parrot as well as an explosive performance at Force Fest in Mexico last weekend. See all confirmed dates below. View a live clip of the band at Saint Vitus Bar in Brooklyn, New York last month, courtesy of Revolver, at THIS LOCATION. 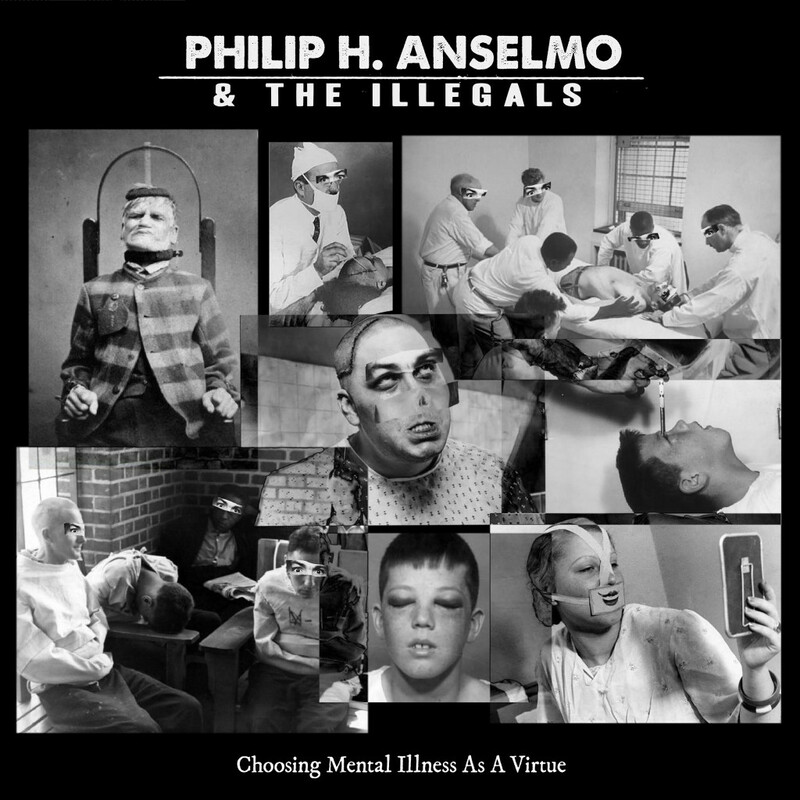 PHILIP H. ANSELMO & THE ILLEGALS released their critically-lauded Choosing Mental Illness As A Virtue full-length earlier this year via Anselmo’s own Housecore Records. Crowned, “fifty minutes of gnarly, vicious extreme metal…,” by Revolver Magazine, “an ever-shifting fusillade of extreme groove prog…,” by Decibel Magazine, and, “unquestionably one of the angriest and heaviest albums of ANSELMO‘s career,” by Exclaim!, Choosing Mental Illness As A Virtue is extreme, abrasive, aggressive, and anthemic.